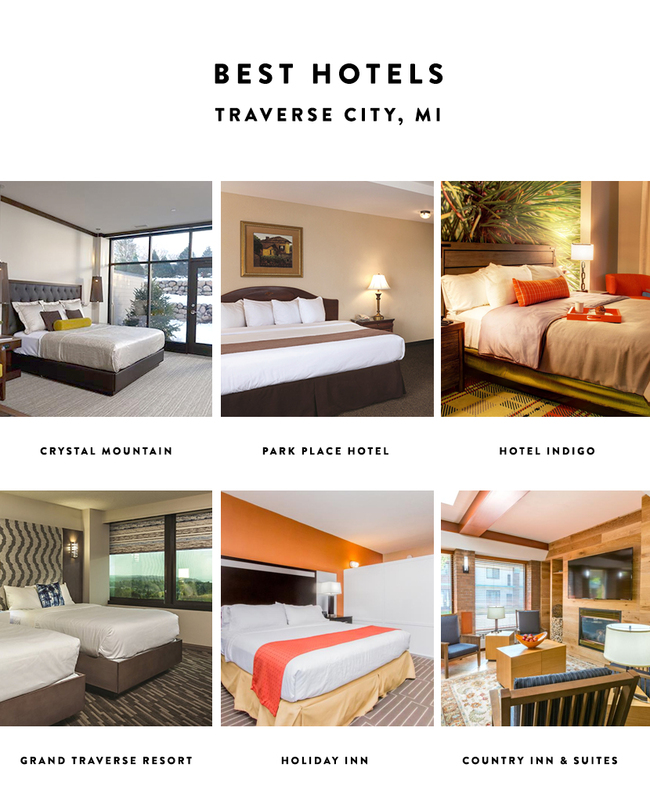 The number one question I get asked about Traverse City and Leelanau County is where are the coolest and best places to stay. So, to help streamline these questions and have a place for people to find all the info they need I thought today I would share a post. Sure it seems a little early considering prime traveling time is still a few months away, but I will tell you that places book up for the high tourist times if they haven’t already this year. So I gathered up a few of my favorite places between hotels, B&Bs, and Vacation Rentals for you guys. This list is intended to be based on places where I would choose to stay if I was visiting here. There are plenty of other places and hotels but these are the ones highest on my list. So here we go! 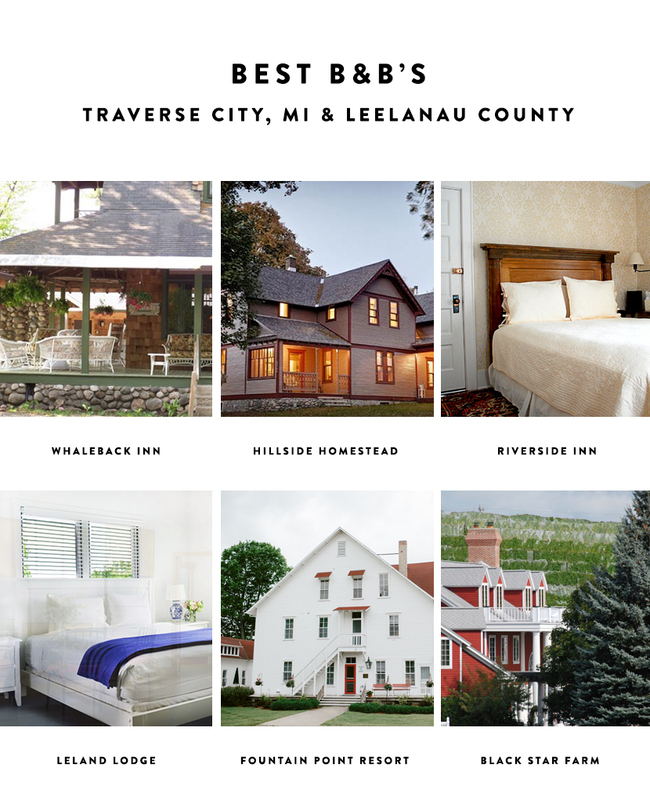 First off, there is are no traditional hotels in Leelanau county. 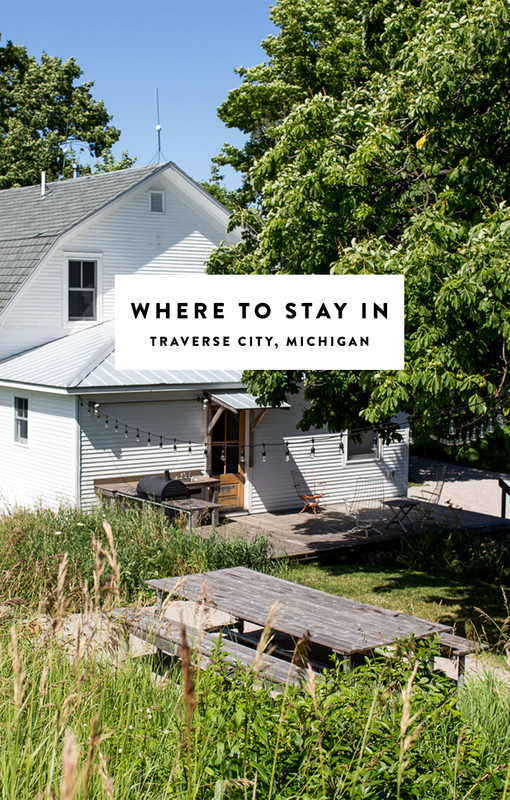 There are some Inns at restaurants and wineries in the area such as Black Star Farms and Chateau Chantal, so if you want to stay in that style of location you will need to focus on staying in Traverse City. There are also no “boutique” style hotels either. It is a huge need in our community considering how heavily vacationed and traveled to our area is. I hear whispers of things happening but we shall see what comes to be. For now, these are the best options we have here. Note that most of these are in the area around Traverse City and a few are located downtown. There is a whole area right on 31 of hotels that are right on the water. They look nice, but I also know that in the summer the traffic on that road is insane and getting to Leelanau County or the Big lake can be a haul. Just something to consider. There are so many amazing places to stay when you talk about unique experiences and places. Staying on the water in an old resort reminiscent of Dirty Dancing or at a winery during harvest season. The best of all a farmstead where you can experience real farm life as it used to be. All of it is fun and a unique way to see the area, which I highly suggest. Check out these properties for something a little off the norm to see some of the best areas of Leelanau County and Traverse City. If you aren’t crashing in a hotel or getting a hands one experience with locals at an Inn or B&B I suggest finding a rental on a site like Airbnb, HomeAway, VRBO, or even using Visit Up North Vacation Rentals if you want to find a place that feels like your home away from home. We have a lot of talented people here that have created beautiful and gorgeous spaces for you to enjoy and have unique experiences in. You will find very few in Traverse City proper as it is against the rules currently, but many are going against the grain. For the most part you will find amazing places in Leelanau County and other areas just northeast of Traverse City. All are incredible and beautiful on this list. Many are also friends of our’s so we know they will care for you well! I would love to hear any of your suggestions for where to stay in the area and places you have enjoyed or are planning to be at this summer. Do you stay with friends? Do you have a family cottage? Is there a rental you love? Have you tried another experience or are thinking of trying one. Share below! this is awesome! I’ve put Traverse City on my travel list because of TFE. Perfect, perfect, perfect… can you do one on restaurants/coffeeshops/bars next? I have one that is a little older, but I will be doing separate ones leading up to May/June. I try to get them up and out before people start coming north. I recently had someone RECOMMEND your web page TO ME. I HAVE SHARED IT WITH ALL OF OUR GUESTS WHO STAY AT OUR HOME. I really enjoy it !! We recently COMPLETED a total renovation on our home on Lake MICHIGAN (n. omigisi beach rd. we have a single bathroom remaining to complete this fall and really liked your colors from your master bathroom. Your place looks awesome!!!! Glad you left it here. We’ve stayed at a rental unit in the Village at Grand Traverse Commons. Very fun and unique place with lots of history. Great location if you want to be close to downtown TC. And the convenience of having shops and reataurants in the same building is a bonus. The Cottonwood inn in empire is also beautiful. Its a family owned b&b in a Big whiTe farmhouse just off of 22, a little OUTSIDE of town. They have rooms of various sizes and also a carriage house to be rented out. It’s a touch further, but we love Benzie Co/Crystal Lake/Frankfurt. VRBO works well, there, but ideal to book a year out. These are so dreamy, Megan! We stayed at Modern Farm Cottage on Cedar in the fall and it was perfect – so quiet, lovely space, and had a bonfire every night! We also have stayed at Point 5 at Northport— what a cute little town! Do you know of any pet friendly place??? SO many cute places! I’ve never been to that area before! Handicapped accessible…roll- in showers anywhere?? Thank you!!! Planning my first trip to michigan..4 nights in tc and so many bad hotel reviews..so this is just what i needed. Any updates since last year? Arriving mid june.